Orphaned and alone the loss of his mother was difficult for Monroe. Gifted with a talent for painting Monroe’s mother left behind over 300 paintings after her passing unfortunately never seeming to finish any of them. A favorite of Monroe’s and his mother was that of a swan which he was allowed to keep as he stayed in his new orphanage home. Hung proudly next to his bed, Monroe awoke one night to find the swan had disappeared leaving behind a blank canvas. Noticing footprints resembling that of a swan leading to a door Monroe had never seen before, Monroe took up his mothers silver paintbrush and proceeded to follow the footprints through this magical doorway. As the screen goes blank Monroe’s journey begins. Told through the style of a children’s book with the narration of a gentle soft female voice, we the player feel not thrown into a game, but thrown into a book. Just like his mother’s blank canvases or the blank pages of a book not yet touched by the tools of artistry this is now our world, a world of pure white and full of possibilities. From what we’ve gathered from it’s opening the players task is pretty simple, find Monroe’s mother’s unfinished swan and just like it’s simplistic plot the gameplay follows suit. Surrounded by a complete white environment Monroe uses his mother’s paintbrush to throw forward a ball of black ink which lands and splatters on the surface highlighting the area and the way forward. This is a game of exploration and fun as Monroe continues to throw forward the ink park benches, trees, fences, gates, statues and stairways become visible. Each ink splatter gives an object shape and with unlimited amount of ink the player can create and bring to life the entire world around them. The game never feels like a game but of exploration and creativity. As the player progresses through the game there are moments when you can look back and see your progression. This is a fantastic feeling as you can see what you’ve created and given form to, objects once lost in a never ending white are now given life. As monroe progresses further along he is met with simple puzzles and problems to overcome in order to gain access to another area. This is a nice change of pace and gives the player more to think about rather than just throwing ink everywhere to find their way. Now and again the player will come across a letter on a wall, hitting it with ink (as we’ve been doing with literally everything else along the way) will activate another page in the book and will be narrated by that motherly voice, these panels are great to find as they reinforce the idea and concept that Monroe and the player are not only in a magical world, but in a storybook filled with his mother’s creations. Monroe is given the task to finish what his mother started before her death. What I initially loved about this game was its first chapter. Here armed with a paintbrush and black ink in an infinite white world, so much is left to the imagination, but as we progress further and throughout later chapters the world around us becomes a bit more solid and recognizable without the use of the ink. 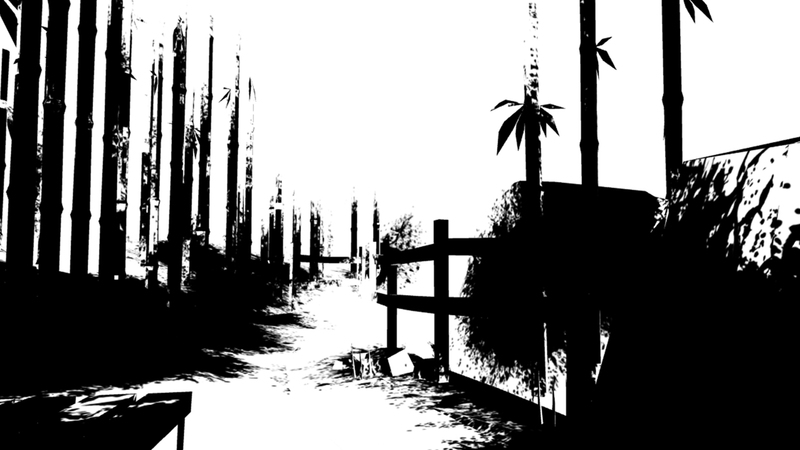 The Unfinished Swan is an incredibly ambitious game that is not widely seen throughout the gaming world, the developers having faith in the player to get from point A to B is a nice feeling. 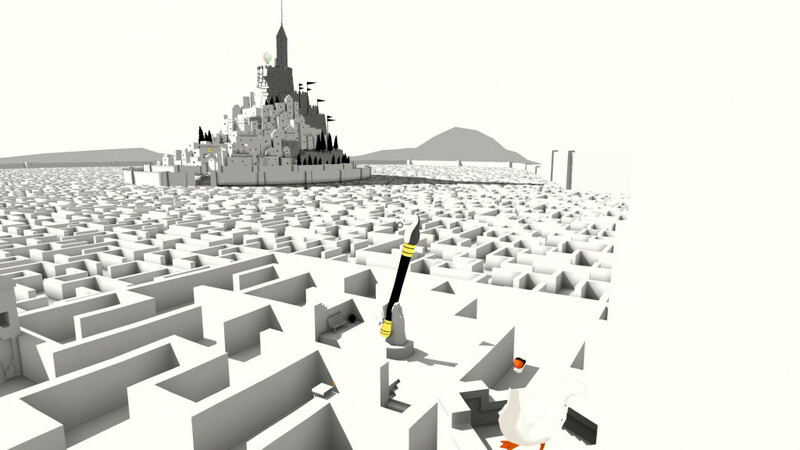 An adventure game in first person mode, The Unfinished Swan is developed by Giant Sparrow and published by Sony Computer Entertainment and was originally released on the PS3 in 2012 and then released for the PS4 and Playstation Vita in 2014. It is currently available as part of this months PS Plus instant game collection. As always if you can only play one PS+ title this month, as far as we’re concerned it should be this one.